Thanks for the link Bundaleer. There are some lovely photos and I have never seen #24 3 Dogs with a whip. Thank you very much, i saw some pics for the firth time too. Thanks for the Link - very nice pictures. 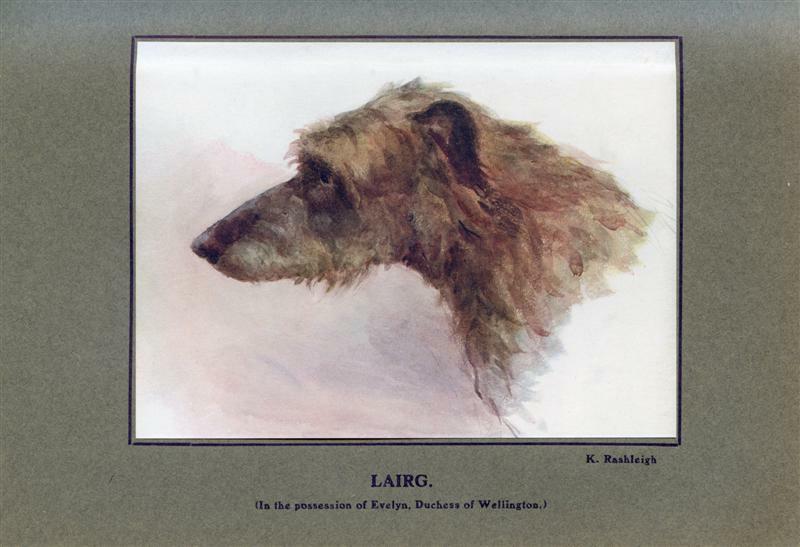 This is old Deerhound photo from my collection. Last Edit: 9 years 1 month ago by Joerg Yoki. 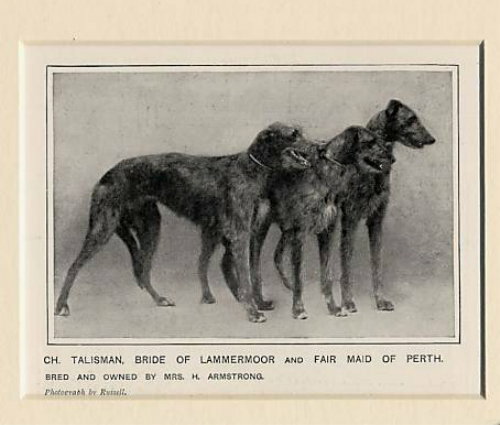 This is a other old photo with 3 Deerhounds from my collection. Why do you favour this dog over others? 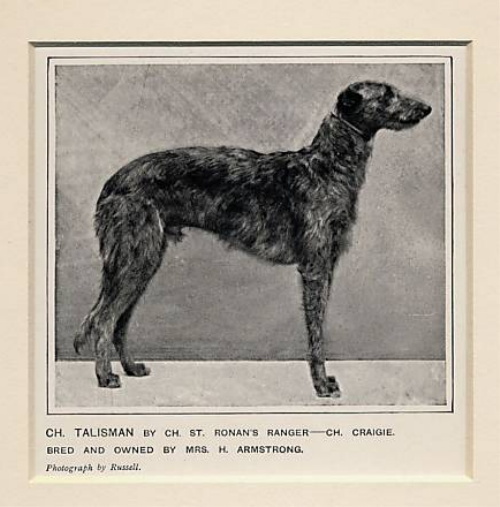 Yes,Ch.Talisman was a wunderful Deerhound. I love the pictures also. Yes he is a lovely,fast looking dog. Interesting how his feet are much neater and more compact than the recent dogs that I've seen.. If I stripped any of my dogs feet, they would look very similar. Hair can have a deceptive look. I doubt he has been stripped. He just has a correct coat. And lovely feet. But I don't like his topline. I think , he could help the deerhounds of today ...- most of mine seem to have these kind of feet actually ( all but 1 , who has rather flat feet , poor hound ! ) - I am not so sure about the chest/forchest on him and the shoulders , might be the angle of the photo , also , not a big fan of those toplines either . But all over a fast and agile looking deerhound , rather sound compared to many of the show winners of today and for sure a beautiful dog . Bear in mind that this is an unposed photograph - he'd probably look quite different if he'd been set up. Lovely picture: bet that book is worth a bob or two? I wonder if picture was drawn from life or from memory? Very nice old head study.